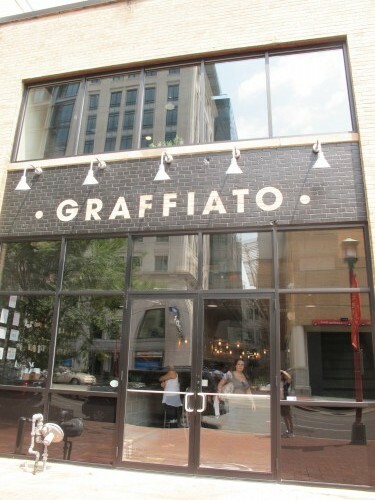 Graffiato is located at 707 6th St, NW in Chinatown. We’ve previously judged them here. Chef Isabella adds weekend brunch and a $20 weekday lunch option. Start dates and sample menus are outlined below. Head Mixologist, Taha Ismail has been barrel-aging negroni and it is ready for sipping. He used a honeycomb bourbon barrel to age the cocktail for five weeks. Choose any three items from the Wood Oven, Vegetate, Dessert or Beverage sections of the special menu featuring 10 dishes and three boozy beverages. The regular a la carte lunch menu will continue to be available throughout the restaurant.